John has more than 20 years experience in marketing, communications and ad agency account management. He began his marketing career with Sports & Recreation, Inc. (a national big box sporting goods retailer) in the early ‘90s where he focused on developing sports promotions to drive in-store traffic and increase brand awareness in the Southeastern region. 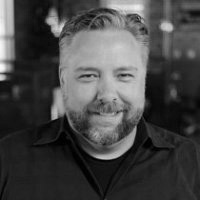 Since joining ZWO as a founding partner, John has served as the guide for the brands of some of ZWO’s most significant clients in the apparel, student housing, youth, and non-profit segments. Providing strategic counsel and direction, conducting strategy sessions, managing complex promotional and advertising campaigns, and leading key shifts in brand direction, formation, and growth. John has lead marketing and branding projects for a large number brands including Campus Crest, The Game, Nike, Reebok, Shumano, Dreamworks, Junk Food Clothing, Salt Life, The Grove & Copper Beech.